Leica Zeno GG04 smart antenna. Photo source: Leica Geosystems. 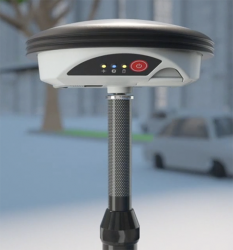 Heerbrugg, Switzerland-based Leica Geosystems announced today the new Leica Zeno GG04 smart antenna, enabling a flexible solution to improve mobile devices’ GNSS accuracy with real-time kinematic (RTK) and precise point positioning (PPP).